Wild Yam - ﻿Taken throughout pregnancy to prevent miscarriage or other problems. zinc source, the fertility of women, progesterone. Balance Hormones, zinc source, the fertility of men, preventing the onset of some cancers. Give for spastic hiccoughs, rheumatism (sore joints), hardened liver, diarrhea or cholera (frequent dehydrating bowel discharges resulting in extreme dehydration ( usually death). Taken throughout pregnancy to prevent miscarriage or other problems. grows healthy new cells rapidly, nutritive, valuable source of organic Calcium. Corrects Poison Ivy and Poison Oak. Apply Mugwort and Wormseed on your abdomen. You will need quality protein; eat almond butter along with whole grain crackers, all organic meats such as fish (no tuna because of mercury download and read toxic metal report above on this page concerning learning problems like autism) , chicken and turkey. Stay away from refined sugar, artificial sweetener and white flour. 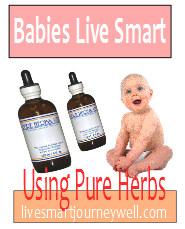 Pure Herbs pre-natal Pure Herb program. Consider Green Vibrance for a full spectrum vegetable and mineral formula. This compliments as this will keep your bowels regular also. These will supply the vitamin A and D, E in a plant base form if you do not want to take capsules. Go and read the ingredients and decide for yourself. A great pre natal herbal supplement. Highly absorb-able. 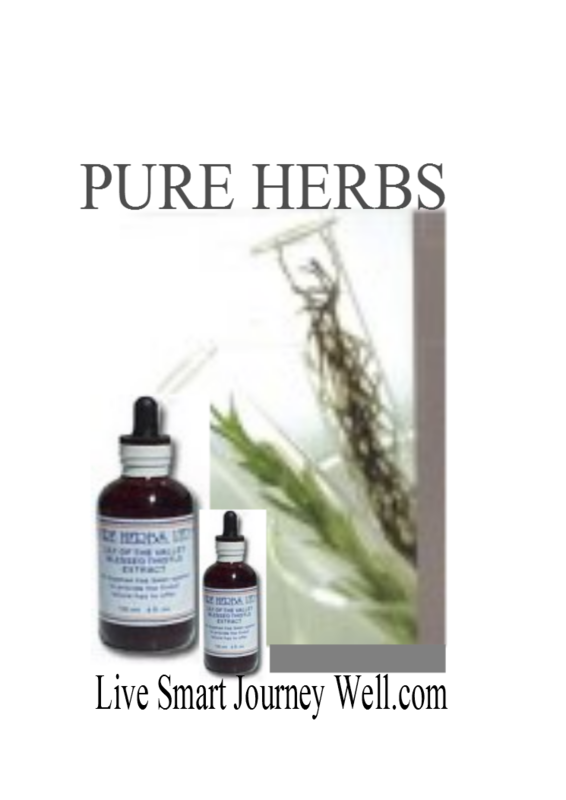 P.N.-W Pure Herbs Liquid Extract was formulated to be a Pre-Natal combination for the mother-to-be. So much can be done before conception and during the development of the baby, during the months of pregnancy, to ensure a happy and healthy mother and baby. Mothers-to-be and Mothers and their babies are a joy to one and all. A Naturopathic Doctor loves to see mother have an easy time of pregnancy and to have an easy and quick delivery with a healthy, happy baby as the result. Families are the backbone of all societies. Having a baby is a natural occurrence and should not be treated like a "dis-ease". Women were having babies long before there were people calling themselves doctors. Women knew what to eat and how to help each other. Recorded in the diaries of the earliest white explorers of North America was the amazement over the ease and quickness with which the original North American inhabitants had their childbirth. The child came, and the same day the mothers were on their feet and resuming their duties, while feeding and caring for their newborn. No sterile hospital, no hospital bill, no cutting, no trauma, no cow's milk, no post partum psychosis (emotional disturbance after delivery). How did these women do it? HERBS! They used Red Raspberry Leaf to build a strong uterus, and Blessed Thistle to insure proper oxygenation and ability to nurse, as well as hormone stabilization. False Unicorn Root and Crampbark ensure pregnancy and prevent miscarriage, Ginger for circulation and proper digestion without nausea. Partridge Berry (Squaw Vine) to ensure proper muscle tone to form the full, normal contractions of birth and prevent infection. Together, we have a superior pre-natal program and the constituents of a proven herbal combination for all these purposes. Watch your diet, use yogurt and pre/probiotics for your bowels and have a beautiful, healthy baby. COMBINATION: Red Raspberry Leaf, Blessed Thistle, False Unicorn Root, Crampbark, Ginger, Partridge Berry. DOSE: Before conception and during pregnancy and for a few weeks after pregnancy, to ensure proper placement and normalization of uterus and reproductive area, take 40 drops after each meal, or 3 times per day. Iron is necessary and helpful to heal. Not all iron producst are healthy and bioavailable and useable by the body. This herbal iron is the perfect recipe. All humans need high quality iron to manufacture red blood cells. Banish fatigue and bring the oxygen carrying cells back to life. Good for young women and their periods. Astringent, tonic, scurvy, skin problems, especially itch, lymphatic system, syphilis, spongy gums. Cup of organic goat milk (greek) yogurt for the probiotic and for extra Vitamin B.
steady, sustained nerves; clears head for memory and thinking, provides harmonious personality and relief from aggravation. 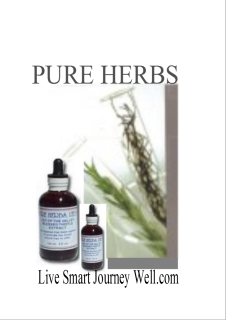 (see L6W below) extract internally and externally and rub Arnica and Indian Tobacco (Lobellia) all over my abdomen to prevent shock and complication. abdominal cramping, antispasmodic, nervous agitation. L.6W - Good for the final 6 weeks before birth. Beneficial to aid digestion. * This combination of herbs is beneficial for nourishing expectant mothers. * (Blue Cohosh, Pennyroyal, Red Raspberry Leaf, Spikenard, Partridge Berry, Blue Vervain, Angelica). and baby. (Blue Cohosh, Pennyroyal, Red Raspberry Leaf, Spikenard, Partridge Berry, Blue Vervain, Angelica). use D.A.N. for Depression Anxiety and Nerves for both parents especially if Mom is experiencing post partum depression. You can still nurse without fear when taking these herbs as well. clinical type depression; mental illness type problems; reverses mental deterioration; promotes relaxation; harmonious personality. Used for muscular cramping and pain. Restores motor & sensory nerves; calms fears. Do not take while nursing. For those who want to use breast milk pump then take your DAN. Historical Uses: (Depression-Anxiety-Nervousness) Bi-polar and clinical type depression; mental illness type problems; reverses mental deterioration; promotes relaxation; harmonious personality. Used for muscular cramping and pain. Restores motor & sensory nerves; calms fears. astringent and her blemishes are disappearing too! As a teenager, you can imagine how thrilled she is! Herbal Adjustment on ankles, feet and toes to keep down the bleeding. The feet are a wonderful area of the body to apply treatment. 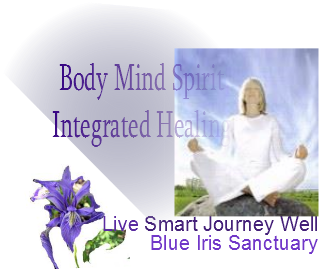 Your whole system experiences the treatment as it is absorbed and travels throughout the body. This is good to know concerning babies also. The belly button is a special place of application once it is healed. ALWAYS PUT A CARRIER OIL ON THE AREA LIKE GRAPESEED OIL OR OLIVE OIL when using herbs that contain volatile oils like cayenne; herbal adjustment that has cayenne will cause burning or skin irritation. The oil acts as a buffer and prevents this from occurring. Mental or physical shock to any part of the body, headaches, migraines, neck and shoulder pain, sore muscles, circulation, arthritis comfort, painful joints, sports injury, distortion of the spine. (Black Cohosh, Blue Vervain, Capsicum, Indian Tobacco, Siberian Ginseng). 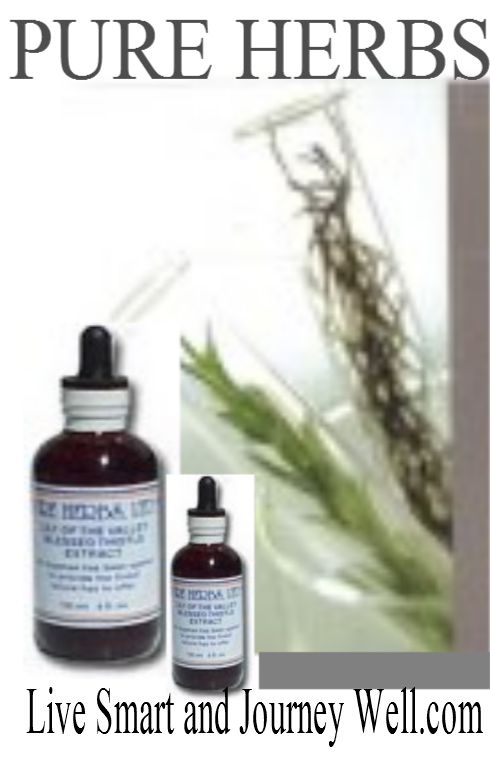 Varicose Veins & Hemorrhoids, stroke repair, restores blood vessels, scar tissue and adhesions in veins, lungs, intestines. (Knitbone, Calendula, Chestnut Leaves, White Oak Bark, Wild Rose hips). worked wonders. In one month fibroid tumor can dissolve. Enriches and/ or increases mother's milk supply. (Blessed Thistle, Marshmallow Root, Plantain, Fenugreek, Fennel, Universal E.R). I knew that if I had not been on the herbs I would not have gotten this far. I decided to go off of the pre-natal vitamins and went totally on the Pure Herbs pre-natal program. (capsules), Vitamin E capsules, Red Raspberry Leaf, Yellow Dock (for iron), although I changed from Yellow Dock to Flora Dex because it has about 14 vegetables in it (I got this from the health food store). daily for extra Vitamin B. In the last ten days of my pregnancy I took Blue Cohosh extract internally and externally I rubbed Arnica and Indian Tobacco all over my abdomen to prevent shock and complication. a product sheet download that covers usage, history and dosing. If there is no download when you order please put a note asking for the product sheet. This is a wonderful product to have around the home. A soothing and gentle balm for dry and sensitive skin, and oh-so helpful during the onset of diaper rashes and chapped skin. An all around soothing salve for moments of discomfort and skin irritation, great for adults too! Contains: Organic Calendula flowers, organic Plantain leaf, Chickweed, St. John’s Wort flowers, Myrrh gum, and organic Goldenseal root in a base of organic Olive oil and Beeswax. This pure and gentle lotion, lightly and naturally scented with yummy sweet orange and vanilla, is the perfect all-purpose lotion for baby’s skin, from top to bottom! Contains: organic aloe leaf juice, organic olive oil, organic rooibos extract, organic calendula extract, olivoyl hydrolyzed wheat protein, cetearyl alcohol, glyceryl oleate, glyceryl stearate, kosher vegetable glycerin, organic vanilla extract, organic shea butter, organic sweet orange oil, and xanthan gum. Mom's to be should detox before getting pregnant. Toxic metals and the chelation process is simple and the most outstanding thing you can do for your baby at all stages before birth and after. the 1980's to 1 in 166 today. Download the free informative report below. Aspergers Syndrome Support, a common mistake is made with high functioning children whom are labeled autistic. don't register with the Aspergers Syndrome child. solved by intellect and not intuition. and physical world and easily grasp facts arranged systematically. perception and are known to have an atypical visual perspective. of recognizing similarities they see differences. They can also have great difficulty distinguishing foreground from background. the increased artistic ability of children with AS using this medium. with the readers' improvement! AS children will naturally love 'compound' words - two words joined together to make a new word, such as blackboard. When working on spelling point out any words within words as a memory aid e.g. 'together' is to + get + her. Nelle Frances is the mother of a 16 year old (at the time of this writing) with Asperger's Syndrome, a Special Needs Educator and Author of the Ben and His Helmet series of books for Asperger children. Change that is easy, but meaningful and permanent. Do you have a child that is Negative? Angry? Tired all the time, irritable and unfocused? The problem that is stopping children and their adult counterparts in their tracks is disorganized and chaotic brainwaves patterns that stay with them most of the day. If you have not yet watched the video at the top of this page, I suggest you do it now because it shows you real life examples from my clients. This disorganized and out of balance brainwave activity literally chokes your ability to access the full power of your conscious and subconscious brain. It causes stress, emotional volatility, bad decisions, and bad memory just for starters. In fact, out of balance brainwave activity that is disorganized and chaotic can cut your ability to be the best you can be by 75% or more. Talk about a huge handicap! What causes this “bad brainwave activity”? It’s slightly different for everyone, however the biggest culprits are the amount of stress and pressure we have in our lives combined with the ever increasing, non-stop exposure to negativity and bad programming from our world. For some people, the way technology and media has evolved to interrupt us every 2 seconds does not help either. I’ve discovered that being “Plugged In” 24/7 can cause symptoms that are similar to ADAD.